The new Skoda Kodiaq Laurin & Klement variant will be the range-topping version of the flagship SUV and has been launched at an introductory price of Rs. 35.99 lakh. Skoda India today announced the launch of the top-of-the-line Laurin & Klement variant of the Kodiaq, at an introductory price of ₹ 35.99 Lakh (ex-showroom, India). The car was launched in the European markets in July this year, and now, Skoda has finally launched it in India as well. 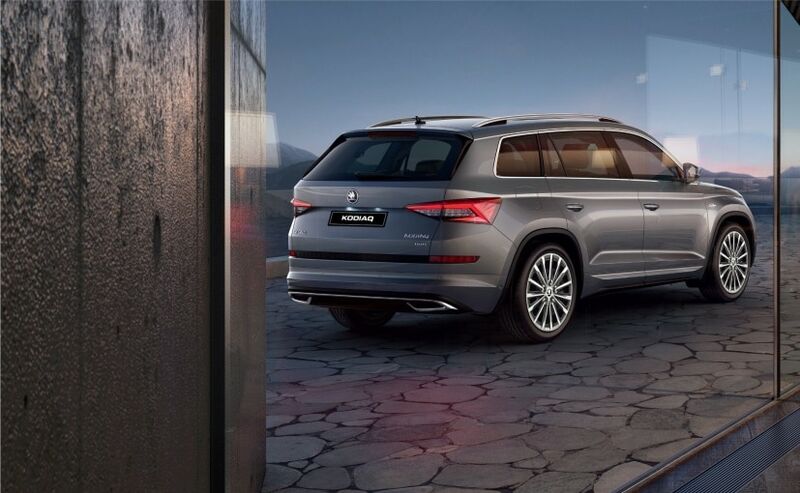 Like the company’s other flagships that have received the Laurin & Klement badge in the past, the new Skoda Kodiaq L&K trim also comes with new features, creature comforts, and improved aesthetics. 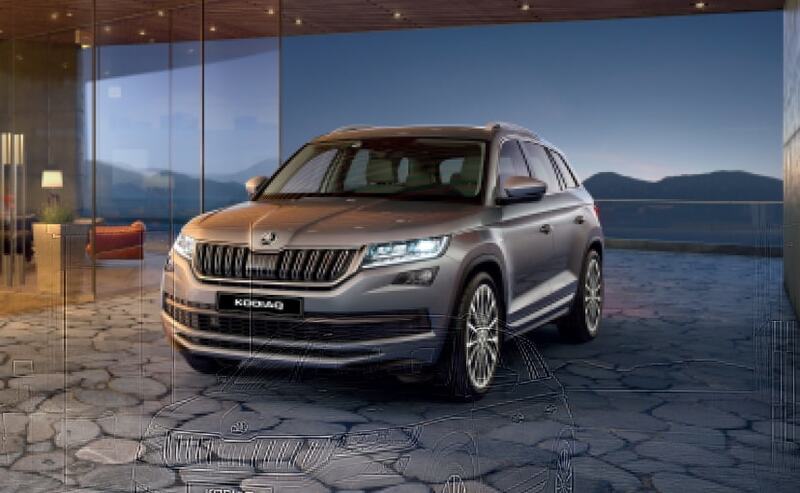 Among the cosmetic updates, the Skoda Kodiaq L&K comes with an updated chrome grille, tweaked LED headlights with illuminated eyelashes, and the signature 18-inch trinity alloy wheels. In line with the company’s crystalline design element, the rear portion of the SUV C-shape LED taillights, and the rear bumper also comes with chrome element that borders the exhaust pipes and the diffuser. The Kodaiq L&K also comes with new silver roof rails, along with Laurin & Klement badge on the front wings and Kodiaq-embossed aluminium door sill scuff plates. The SUV will come in five colour options – Lava Blue, Quartz Grey, Moon White, Magic Black, and the all-new Magnetic Brown. The cabin, on the other hand, also comes with a bunch of changes, with the most apparent one being the darker treatment for the dashboard. The piano black interior décor comes with the Laurin & Klement inscription, similar L&K logo stitched on the front and back seats, and Laurin & Klement welcome message on the infotainment system. 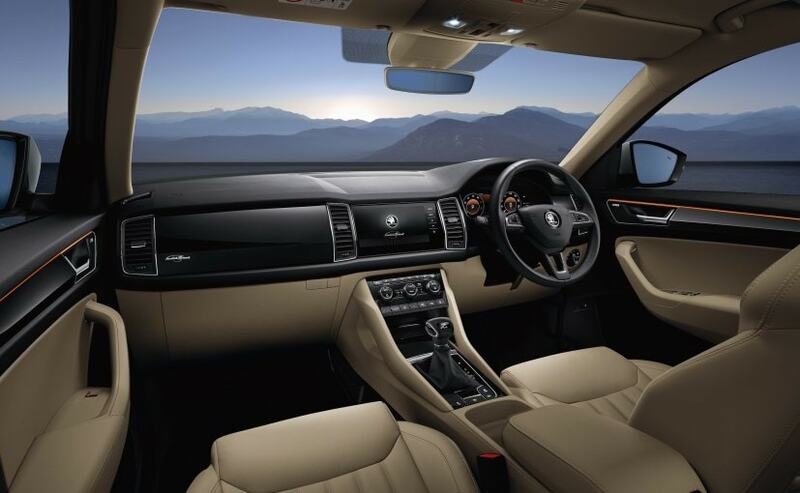 On the features front, the SUV comes with 360-degree surround area view, hands-free parking, and also the company’s versatile Virtual Cockpit, offering a customizable digital instrument panel with all important driving and navigation data. At the centre of the dashboard is an 8-inch capacitive touch display with SmartLink+ that offers SmartGate, Apple CarPlay, and Android Auto. Powering the SUV is the same 2.0 TDI diesel engine that generates 148 bhp and develops 340 Nm of torque. The motor is mated to an automatic DSG gearbox, and is also assisted by an all-wheel-drive system with electronic control delivers a big increase in traction, stability, and safety. The Kodiaq Laurin & Klement also comes with best-in-segment nine airbags, AFS (Adaptive Front light System), ABS (Anti-lock Braking System), ESC (Electronic Stability Control), EBD (Electronic Brake-force Distribution), MBA (Mechanical Brake Assist), MKB (Multi Collision Brake), HBA (Hydraulic Brake Assist), ASR (Anti Slip Regulation), and EDS (Electronic Differential Lock). Next articleLcare Band 2S Review: Blood Pressure Monitor Under Rs. 3,000 but Is It Any Good? Is Ahan Shetty’s debut film titled TADAP?